2 Bedroom Upper Floor Flat For Sale in Sheffield for Asking Price £130,000. Ideal Investment Opportunity Or First Time Buy Alike. 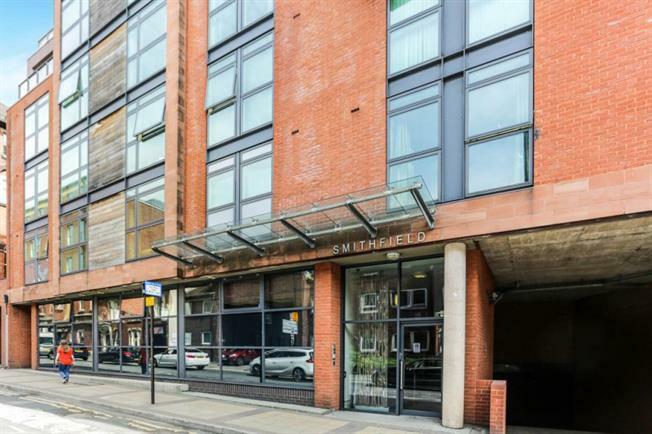 Available for sale is this two bedroom, third floor apartment, situated in the extremely popular Smithfield development in the heart of the Devonshire Quarter with its stylish shops, bars & restaurants. It is also convenient for the railway station, M1 link road, Universities & central hospitals. Electric heating, double glazing & modern kitchen & bathroom fittings. Security intercom system and lift access. The accommodation in brief comprises: communal access, entrance hallway leading round to the open plan contemporary lounge/kitchen area having integrated appliances to include electric hob, extractor fan and electric oven. A door from the lounge area accesses the balcony overlooking the communal courtyard. Two bedrooms and bathroom having a three piece suite in white comprising: wash hand basin, low flush wc and bath with mixer tap shower attachment. SECURE UNDERGROUND PARKING.